Argument is an opinion or a statement. Arguments contain statements that are either premises (evidence we give for believing a conclusion), or the conclusion (what we infer to be true based on the premises). A: Order in the court! B: I would like to make my plea. B: I would like to plead not guilty. A: You do realize that all the evidence points to you? B: I know. But I did not do it. A: How do you figure that? B: I didn't commit the crime. A: Do you know who did? B: If I tell you who did, will you release me? A: I'm sure we can work out some kind of deal. B: I'll tell you all you need to know. In this dialogue we can see the judge and the suspect are pointing out their arguments. If we want to defend our arguments we need to have a counter-argument. Similarly, our opponent will counter our argument by expressing his counter counter-argument. The act of adopting some aspect of one language into another. It may be lexical (the most obvious and common type of borrowing) but also syntactic, morphological or phonological. The latter types of borrowing require that some section of the population be in direct contact with the second language. Lexical borrowing can be due to written influence as with the English loanwords in Modern German yielding so-called 'cultural borrowings'. Borrowing is one of the chief means of expanding the vocabulary of a language. The word Photo derives from Greek phos - light. The word Sikin (acehness) comes from Arabic Sikkinon. It cant be denied that every language borrow other languages, somehow it make some kind of chain. For example, language B borrow from the Language A and Language C borrow from the Language B and so on. The act of copying one's language is really common. I can guarantee that our language cant exist without others language. Furthermore, the act of adopting (borrowing) could be directly introduced or indirectly. Collocation is a familiar grouping of words, especially words that habitually appear together and thereby convey meaning by association. Collocational range refers to the set of items that typically accompany a word. The size of a collocational range is partially determined by a word's level of specificity and number of meanings. A term referring to the environment in which an element (sound, word, phrase) occurs. The context may determine what elements may be present, in which case one says that there are 'co-occurrence restrictions' for instance 1) /r/ may not occur after /s/ in a syllable in English, e.g. */sri:n/ is not phonotactically permissible in English; 2) the progressive form cannot occur with stative verbs, e.g. We are knowing German is not well-formed in English. A: I like this shirt. What do you think should I buy it? B: I think it suit you. A: why you all wet? Is it rain? While in this one means. Obviously it is raining. The concept of context is sometimes similar to pragmatic. It is how the language is used in real life. As we see on the above example, what the word says doesn't mean what it usually means. At this point, only the listener that can understand what speaker means. Additionally, context could be divided into speaker and listener age, education, social class and other particular criteria. For example, a younger listener could probably not understand what older speaker says. A system of signs through which realities are reproduced and legitimated; a constructed system of arguments, ideologies and interpretations that shapes social practices, affecting the way we see things and talk about them. 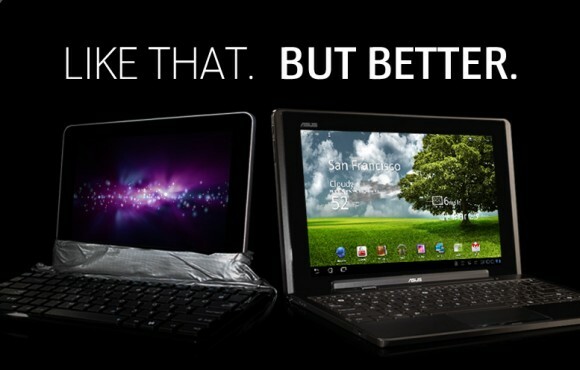 The picture is an ads by Asus. The discourse is advertising. It is mean that if we see this ads we must buy the product. Like the old words, a picture is worth a thousands words. I will discuss more specific about discourses.